Thursday, March 26th, 2015 at 3:01pm. Boca Raton’s new construction scene is booming with several new luxury condominium developments being announced recently. 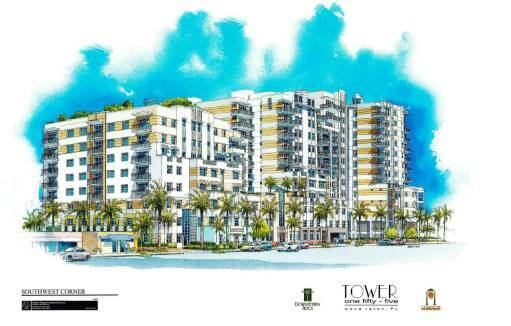 We have the scoop on the newest luxury condos in Boca Raton, including Tower 155, 327 Royal Palm, and Akoya Boca West. Read on below and click the links to view the latest listings. Friday, March 20th, 2015 at 11:30am. Luxury homes are typically lavish and unique masterpieces, with no two homes alike. 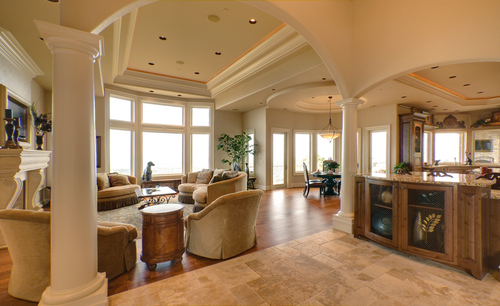 However, there are a number of features that buyers are looking for when purchasing a luxury home. From the latest home technology, to impressive entertaining areas, and opulent living spaces, we're bringing you the top five luxury home features that buyers want most. Wednesday, March 11th, 2015 at 3:42pm. 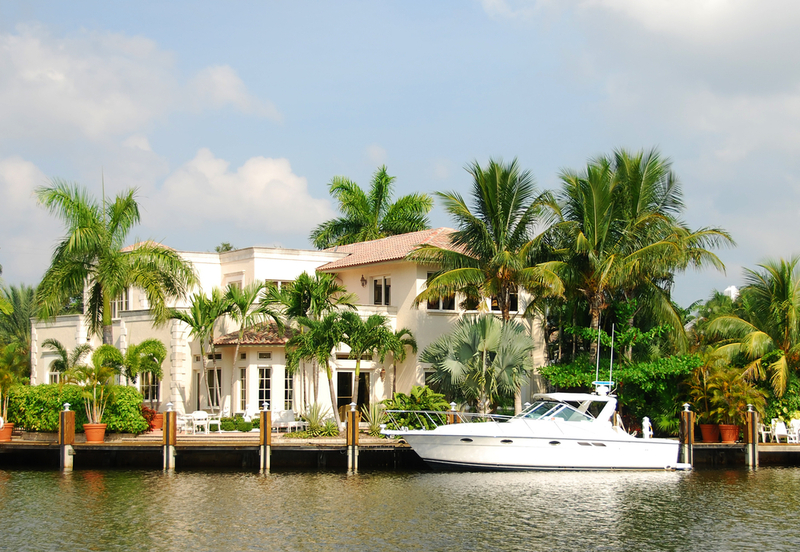 Boca Raton is home to a magnificent selection of exclusive luxury condos. Showcasing miles of beautiful sandy beaches, breathtaking water views, and a number of high-end amenities, Boca Raton luxury condos offer residents the very best in upscale, maintenance-free living. If you're thinking about purchasing a condo in this stunning city, be sure to check out our featured listings below to learn more about some of the most highly sought-after condos in Boca Raton. Monday, March 2nd, 2015 at 1:28pm. 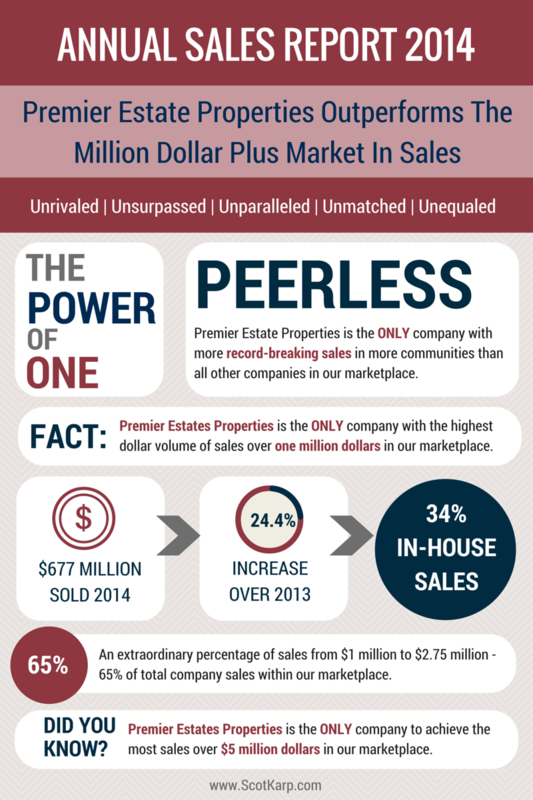 Premier Estate Properties has released the 2014 Annual Sales Report, showcasing unparalleled results in the million dollar plus market. Focusing solely on the luxury real estate market, Premier Estate Properties boasts more record-breaking sales in more communities than any other company in its marketplace, with 65% of total company sales between $1 million and $2.75 million dollars. Selling our clients' properties first is foremost for our company, and with 34% of sales represented by in-house transactions, Premier Estate Properties is setting the industry standard. The below infographic demonstrates our success and dominant sales position, and illustrates our dedication to maximizing our sellers' return on investment.